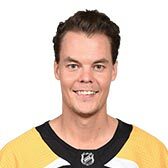 Tuukka Rask is 6' 2 and weighs 185 pounds. He is currently 32.1 years old. Has been placed on IR.